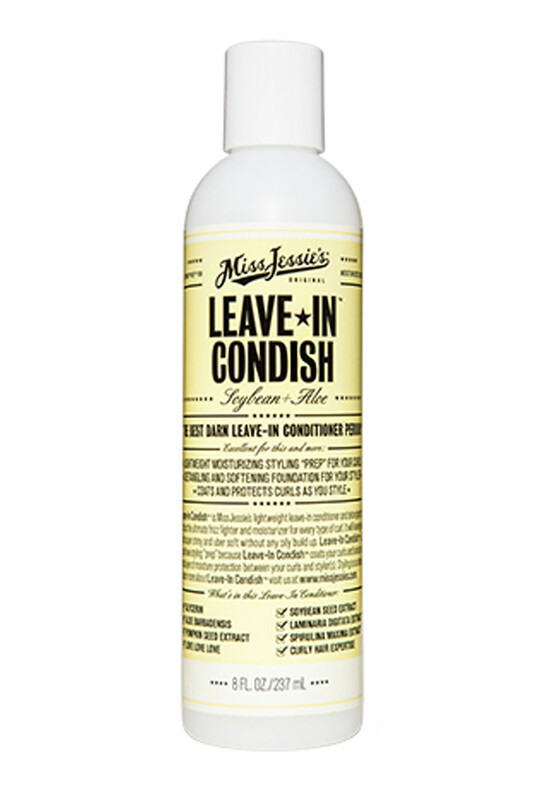 "Leave-In Condish is Miss Jessie’s lightweight leave in conditioner and detangler that acts as the ultimate frizz fighter and moisturizer for wavy, curly, tight curly or transitioner’s hair. It leaves your curls super soft and uber shiny without any oily buildup. Formulated with Soybean and Aloe for its moisturizing properties Leave-In Condish is a moisture lock. Great for: Wavy, curly, tight curly, and transitioners hair." Leave –In Condish is an excellent leave-in moisturizer that goes on after your conditioner and before your styler to add softness suppleness and volume to your curls. Leave –In Condish coats your curls and locks in an extra layer of moisture protection between your curls and styler. Formulated with Soybean and Aloe for its moisturizing properties Leave-In Condish is a moisture lock.